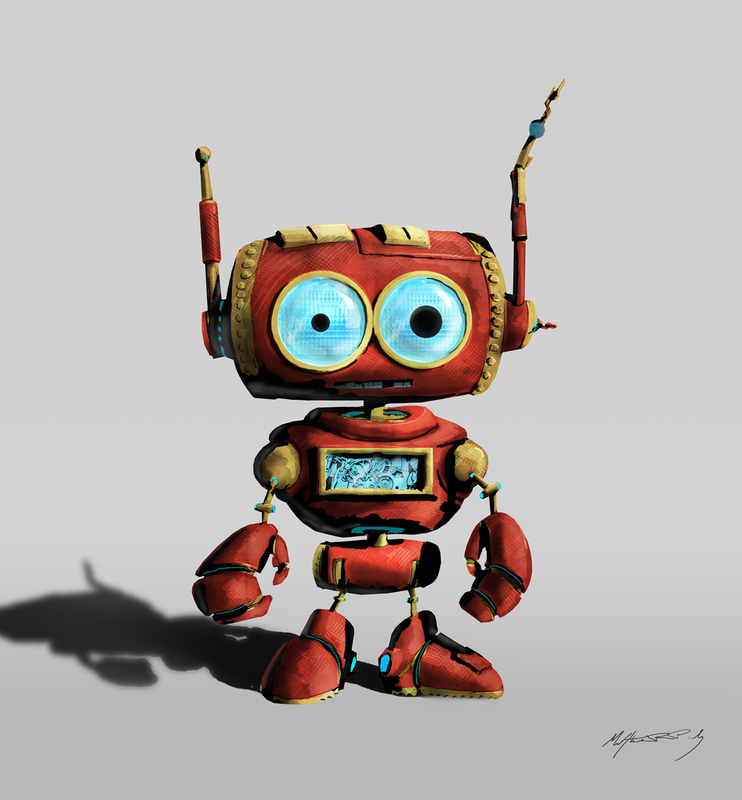 I took the previous sketch of a robot into Photoshop, did some coloring, and added some texture. The result can be seen above. Compare that to the original sketch. You can tell I definitely took inspiration from Amanita’s Machinarium (I love their art style). I just added more color because I didn’t want to get sued— I mean because I like color. I also set up the Photoshop layers so I could play with colors after the fact! Below you can get a feel for how I arranged the layers. Maybe one of these days I will make a tutorial, as long as I don’t get distr— oh hey, look at that!